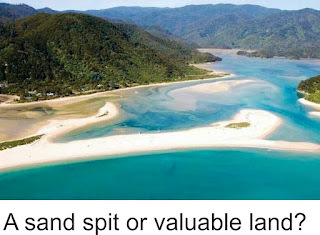 In 2008 a Mr Spackman and a Mr Garnham decided to purchase a seven hectare coastal property in the Awaroa Inlet near the Abel Tasman National Park - disparagingly described by some as a sand spit - for $1.92 million. They thought they were paying interest-only on their BNZ loan, but the bank had a different view and has called in the substantial deficit. To keep the so-called pristine property in public hands, two likely lads from Christchurch, Duane Major and Adam Gard’ner, set up a crowd-funding application on a site called Givealittle to raise about two million dollars, the sort of money it is thought would be needed to purchase the property. Crowd-funding is a curious form of money-raising, used for all sorts of ventures and is a new favourite of the social media elite. I’m a bit confused. Presumably the land has always been in private ownership and it has hardly been despoiled. If a new owner wants to put a multi-million dollar resort on it (unlikely, given the frailty of the land) does it really matter? Meanwhile putting the crowd-funded property in DOCs hands to maintain will just add another cost on the taxpayer. Most landowners are conservationists at heart anyway, just look at the sheep and cattle stations on the Wairarapa coast; they look better by the year. And is it really worth two million-plus dollars? 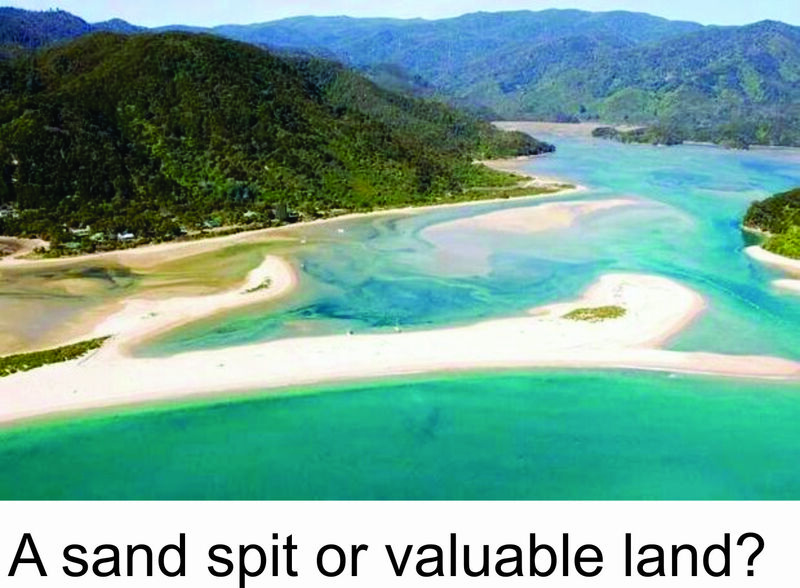 People I know well recently sold a 20 hectare property in the Marlborough Sounds for a fraction of the price being touted for the Awaroa Inlet property. I’m sure they would have liked more, but it has been on the market for a couple of years and they only had the one genuine offer. Covered in native bush, the Sounds property has three private beaches, one of them awash with oysters, and the owners had built a bach, fully consented, inland from one of the beaches so not to spoil the view towards the shore. I’ve never actually been to the property, but family members have stayed there and assured me that it is paradise on earth. Apparently the native birdsong that you awake to each morning is sensational. Under normal circumstances it is highly unlikely that there would have been a queue of prospective buyers for the Awaroa Inlet beach. It’s also probable that in those heady days in 2008 the current owners paid more for the land than it is really worth. Crowd-funding however has lifted the profile of the property nationally and possibly even internationally and the participants might be outbid by their own success. Meanwhile the commission agent selling the property won’t be able to believe his good luck. I’d love to own a Ferrari. Those willing to help, just go to Givealittle.